A link to "Manage E911 settings for Business VoiceEdge or Business Trunks" will be sent via email. Your link to 'Manage E911 settings for Business VoiceEdge or Business Trunks' has been sent! 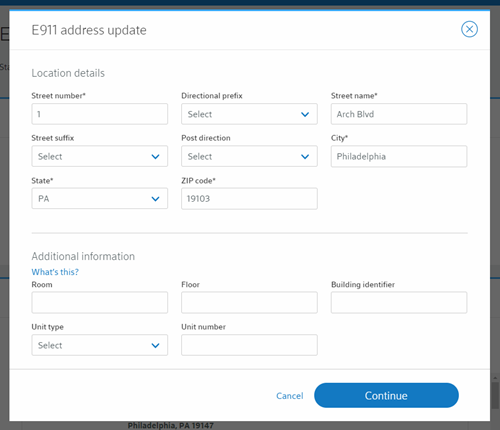 Business VoiceEdge Admins, VoiceEdge users and Business Trunks Services Managers can manage Enhanced 911 (E911) settings online. E911 addresses are automatically relayed to emergency services when a 911 call is made and may be the location to which emergency services are dispatched. For more information on E911, please reference Emergency and security management using E911. Sign in to My Account and select Business VoiceEdge Admin from the Services menu. 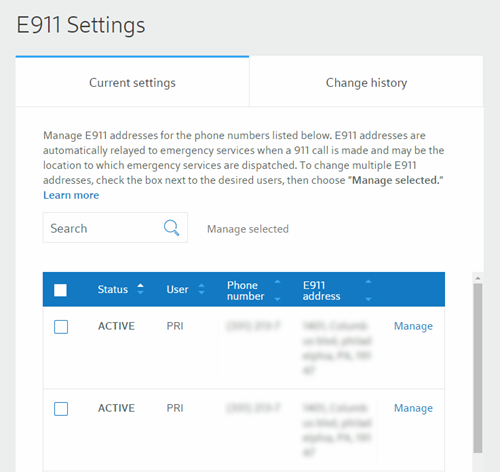 Expand the Advanced Settings section and select E911 Settings. On the Current settings tab, select Manage to edit information and view change history associated with a phone number. You can also select the checkboxes to manage multiple users at one time. 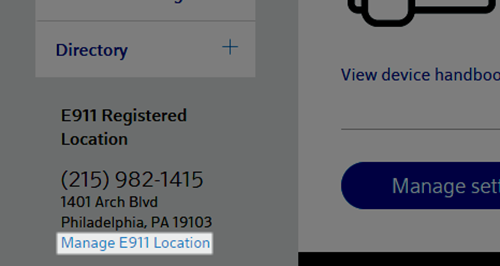 Select Update address to change location details. Enter the location details and any additional information. Select Continue and then Save when finished. Sign in to My Account and select Manage E911 Location. Note: If you are an admin accessing a user account, first select VoiceEdge User from the Manage Services dropdown, then ensure the appropriate user is selected in the user dropdown. Update the Location details and Additional information sections, then select Continue and then Save when finished. Changes made to your E911 information will be reflected in the Change history. Select Close to return to the dashboard. 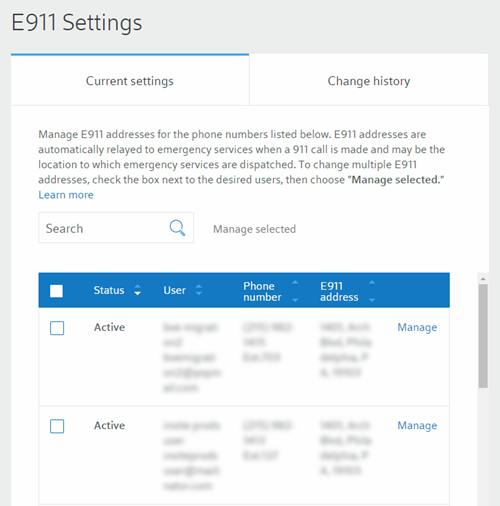 Expand the Settings menu and select E911 Settings.